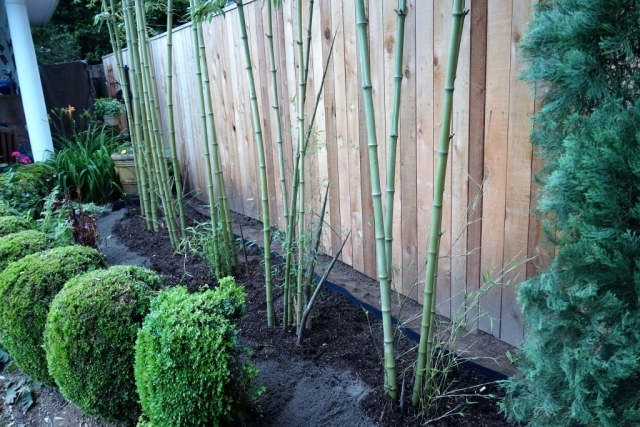 The preferred method of bamboo containment is root pruning. A trench about 8″x8″ is dug around the bamboo and backfilled with sand which allows the spreading rhizomes to be easily cut back. In the example above, the bamboo is higher than the surrounding grade making the trench deeper and more pronounced. 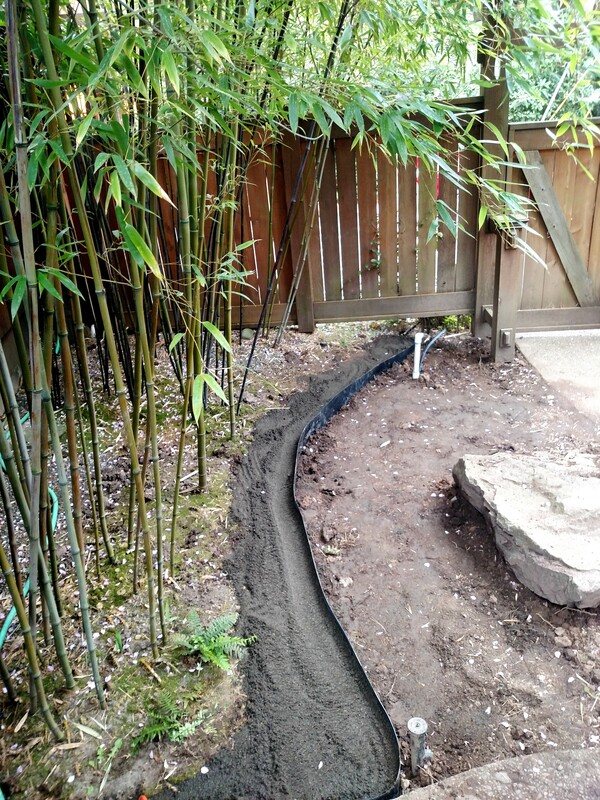 This is ideal because bamboo’s root and rhizome network is shallow and the trench is deeper than they typically grow. 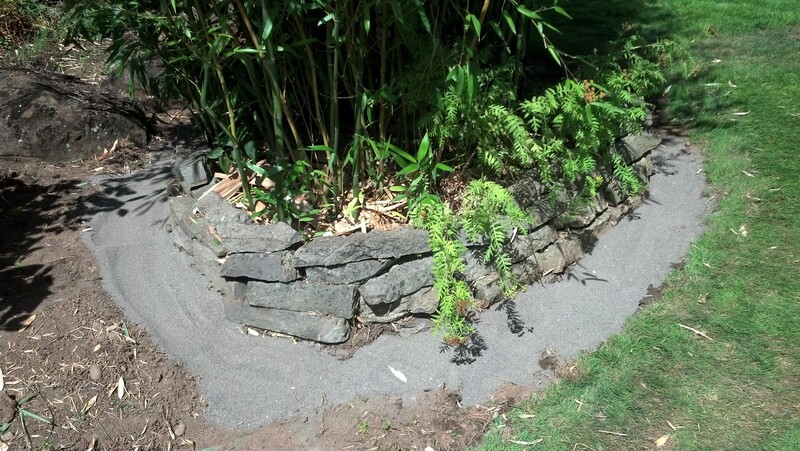 Sand is used because it is easier to dig through than our usual hard, dry clay, and it will not compact. We have established a perimeter to patrol. Rhizomes start to grow after the new shoots have reached their maximum height, usually mid to late July, and continue to expand rapidly through about September. 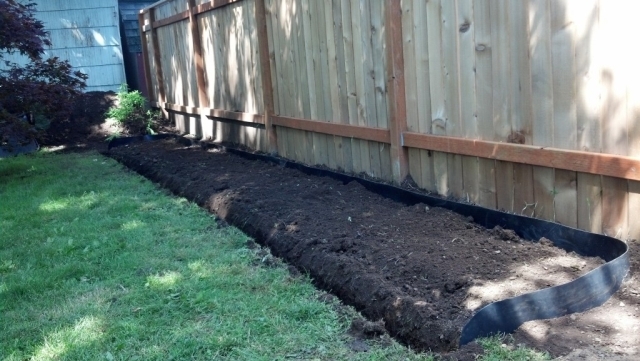 This is time to root prune because the rhizomes’ growing tips are tender and are easily severed. When the tips are cut it will prevent any more growth. 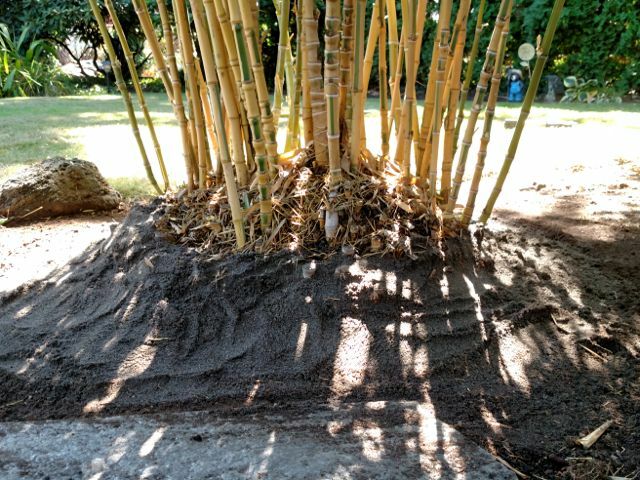 By cutting a rhizome when it is 6 inches you will prevent 6 or more feet of growth. 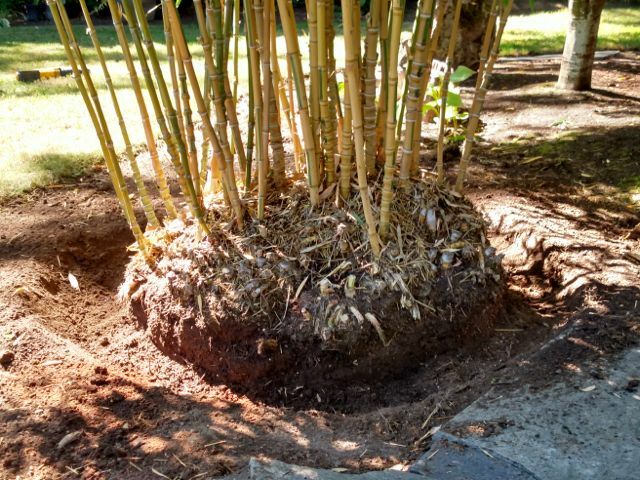 Because rhizomes grow in a bell curve distribution over time you will need to root prune 2-3 times during the growing season. The first time you might only find a couple, but there will be more coming until they start tapering off towards the end of the growing period. Tools used are the King of Spades (a sharp and heavy straight bladed shovel) a mattock, hook, or even your hands to reveal and lop the rhizomes. Keys to success are timing and access. 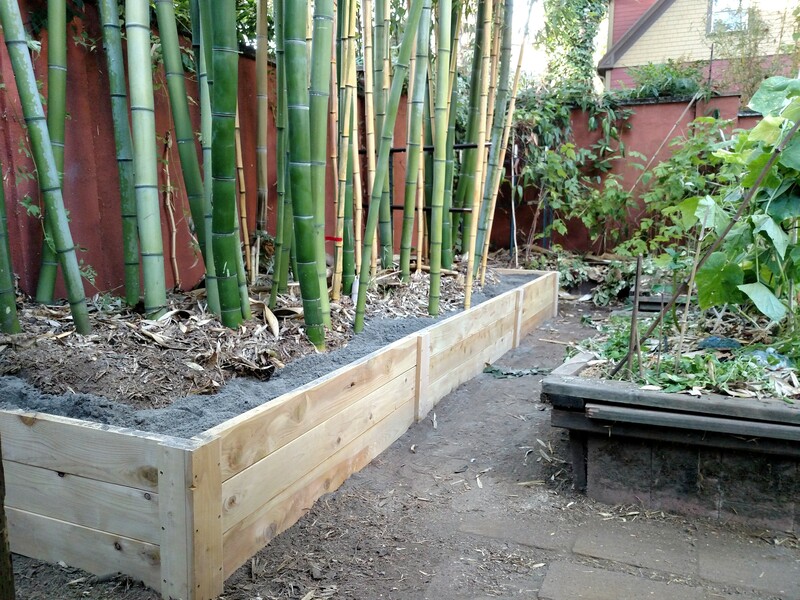 There is good access all around in the above example, but you can do the same with a linear screen along a fence as long as you leave enough room. Timing will change slightly between years as some are warmer or wetter, affecting the growing period. But with familiarity you will recognize when to start looking. It might take five minutes or less to check the above example, or let us handle it with a maintenance program.